AT SCHOOL, Courtney Rainbow was called names nearly every day. If only her tormentors had known she would one day have the chance to earn the title of Miss Galaxy Australia. 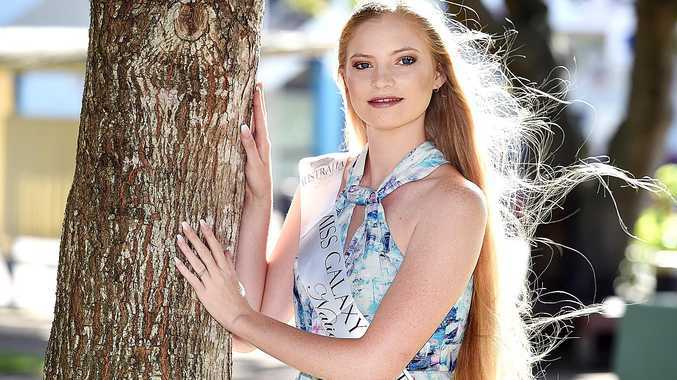 The Hervey Bay mum and martial arts queen has been named a finalist in the beauty pageant and will attend the finals on the Gold Coast tomorrow. She will compete in four days of competitions before the winner is announced on Saturday night. "We'll get judged on about 10 different things like swimwear, fashion wear, evening wear, beauty head shots and interviews," Courtney said. "The winner will be the best all rounder." If Courtney, 22, takes out the title of Miss Galaxy Australia, she will continue to Los Angeles and compete in the 2018 Galaxy International Pageant. It's an achievement she never would have thought possible when she was a teenager bullied in school. "Bullying was always the biggest thing for me because I never felt like I was as good as the other girls," she said. "The bus trips coming home from school were always the worst." Now, Courtney wants to use her story to encourage other girls to embrace their individuality and be comfortable in their own skin. "I wanted to do something so young girls can feel like they can do anything no matter what they look like," she said. "Everyone is beautiful in their own way." 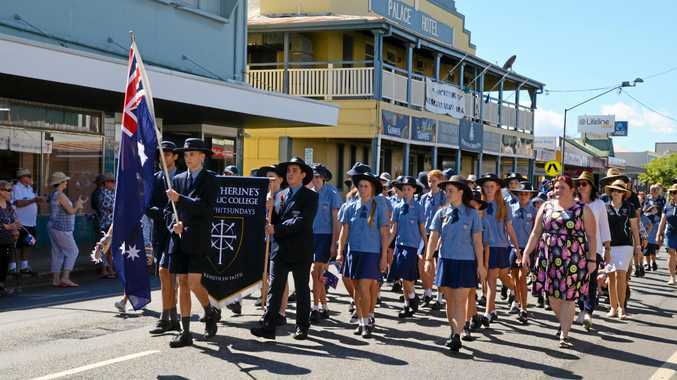 Courtney is no stranger to the spotlight having been named the face of the Fraser Coast in 2014. In 2010, she travelled to Thailand to compete in the Muay Thai World Championships where she won gold. She also has two Queensland titles in Muay Thai. "I started (Muay Thai) when I was in grade two and I stopped in 2012 for a bit of a break," she said. "I like to challenge myself and I like to work under pressure because that's how I work best." Courtney said she had received an outpouring of support from her friends and family as well as her sponsor, Pure Perfection. She also hopes to win the People's Choice award which is decided by the general public. You can vote for Courtney by visiting the Australia Galaxy Pageants Facebook page and 'liking' her photo in the People's Choice album. Voting closes Thursday, March 15.